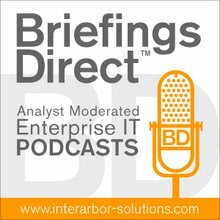 Dana Gardner's BriefingsDirect: Private clouds: A valuable concept or buzzword bingo? Private clouds: A valuable concept or buzzword bingo? This guest post comes courtesy of Ronald Schmelzer, senior analyst at Zapthink. Take the BriefingsDirect middleware/ESB survey now. Every once in a while, the machinery of marketing goes haywire and starts labeling all manner of things with inappropriate terminology. The general rationale of most marketers is that if there’s a band wagon rolling along somewhere and gaining some traction in the marketplace, it’s best to jump on it while it’s rolling. After all, much of the challenge of marketing products is getting the attention of your target customer in order to get an opportunity to pitch products or services to them. Of course, if it doesn’t work with one band wagon, as the old adage goes, try, try again. This is why we often see the same products marketed with different labels and categories applied to them. Sure, the vendors will insist that they have indeed developed some new add-on or tweaked a user interface to include the new concept front and center, but at the very core of it, the products remain fundamentally unchanged. Now, I don’t want to sound overly pessimistic about product marketing and the state of IT research and development, since the industry couldn’t exist without innovations that are truly new and disruptive and change the very face of the market. However, this sort of innovation often comes not from the established vendors in the market (who have customer bases to grow and defend), but rather from small upstarts that have nothing to lose. It is in this context that we need to evaluate some of the marketing terminology currently coming to the fore around the cloud computing concept. ZapThink has had many positive things to say about cloud computing, and we do believe that as a business model, technological approach, and service-oriented domain it will have significant impact on the way companies large and small procure, develop, deploy, and scale their applications. Indeed, we’re starting to see hundreds of companies that develop whole products and services without procuring a penny of internal IT hardware or software resources. This is the bonanza that is cloud computing. Yet, we’re now starting to see the emergence of a more perplexing concept called “private clouds.” If the benefit of the cloud is primarily loosely coupled, location-independent virtualized services (implemented in a service-oriented manner, of course), and we’re doing this with the intent of reducing IT expenditures, then is there any value in a new concept called private clouds? How does the addition of this word “private” add any value to the sort of service-oriented cloud computing that we’ve been now talking about for a handful of years? Is this a valuable term, or mere marketing spin? To attempt to gain some clarity around this issue, ZapThink reached out to a number of pundits and opinion-leaders in the space to get their thoughts and definitions on private cloud, and to no surprise, the definitions all varied significantly. Let’s explore these definitions and see what additional value (if any) they contribute to the cloud computing discussion. My colleague, Jason Bloomberg, is of the opinion that a private cloud consists of infrastructure owned by a company to deploy services in a virtualized, location-independent manner. What differentiates private clouds from simply implementing clustered applications or servers, is that the cloud is not built for a specific service or application in mind. Rather, it is an abstracted, virtualized environment that allows for deployment of a wide range of disparate services. It is important to note that in practical terms, companies will most likely not implement this vision of private clouds using a diversity of heterogeneous infrastructure. Indeed, it is in their best interests to control costs and complexity of support, training, and administration by implementing their private clouds using a single vendor stack. So, this vision of private clouds is often a single-vendor (homogeneous) cluster of virtualized infrastructure that enables location-independent service consumption. Of course, implementing any sort of homogeneous stack reduces the need for loosely-coupled services, and thus weakens the service-oriented cloud computing value proposition as a whole for that company. In a response to a Facebook post, Jean-Jacques Dubray comments that the above definition doesn’t go far enough. Rather, in order for the company-owned and implemented infrastructure to be considered a private cloud, it must include the concept of “elasticity.” Specifically, this means that the hardware and software resources must be provisioned in a dynamic manner, scaling up and down to meet changes in demand, thus enabling a more responsive and cost-sensitive approach to IT provisioning. This idea of private clouds sounds a lot like the utility computing concept sold as part of IBM’s decade-old vision of on-demand computing. From this perspective, a private cloud is company-owned on-demand utility computing implemented with services instead of tightly coupled applications. Reading between the 140 character lines, I can guess that his perspective is that a private cloud is a governed cloud that enables virtualized, governed, location-independent services. For sure, there has been a lot of consternation over the fact that the most popular “public” clouds share infrastructure between customers and require that data and communications cross the company firewall. This stresses out a lot of IT administrators and managers. So in response, these folks insist that they want all the technological benefits of cloud computing, but without the governance risk of having it reside in someone else’s infrastructure. Basically, they want the virtualization, loose coupling, and location-independent benefits of cloud computing without the economic benefits of leveraging someone else’s costs and investments. Basically, they would rather own a version of the Amazon EC2 than use it, solely for reasons of governance. Many people are indeed concerned about those supposed governance and security draw-backs of cloud computing. However, rather than simply dismissing the economic benefits of the public clouds, why can’t we simply approach private clouds as a veneer that we place on top of the public clouds? Couldn’t companies impose their governance and security requirements on third-party infrastructure, using company-owned governance tools and approaches to manage remote services? Couldn’t we simply demand that the public clouds provide greater governance and security control? Basically, does the addition of the term private provide the same sort of value as it does in the context of the virtual private network (VPN)? We didn’t throw out the Internet because it was insecure and create a private Internet. So, why should we do the same with cloud computing and create private clouds? JP Morgenthal takes an entirely different perspective on the private cloud concept and insists that the primary value of any cloud, whether implemented privately or acquired from a public vendor, is the business model of pay-as-you-go service consumption. From this perspective, a private cloud is an internal business model that enables organizations to consume and procure internal, virtualized, loosely coupled services using a pay on-demand model similar to a charge-back mechanism. Rather than an IT organization paying for and supporting the costs of the business users in an aggregate fashion, they can provide those resources using the same business models employed by Amazon, Google, Salesforce.com and others in their public clouds. In order to realize this vision of private clouds, companies need a means to enable transactional service purchases, auditing of service usage, and organizational methods for enabling such inter-departmental charges. At the most fundamental level, this vision of the private cloud treats IT as a business and a service provider to the rest of the organization. TechTarget offers the most cynical view of the private cloud. In their words, a private cloud is a “marketing term for a proprietary computing architecture that provides hosted services to a limited number of people behind a firewall." "Marketing media that uses the words "private cloud" is designed to appeal to an organization that needs or wants more control over their data than they can get by using a third-party hosted service. …” Basically, they opine that the term has marketing value only. Where does this place IT practitioners? Reading between the lines, they encourage us to ignore the usage of the term. Yes, we can. "Service-oriented cloud computing" adequately defines an architectural and infrastructure approach to develop location-independent, loosely coupled services, in a manner that virtualizes and abstracts the implementation of these services. What additional value does the term “private” add to that? It’s not entirely clear, and as we can see from the discussion above, there’s no consensus. Adding more fuel to the fire, a well-publicized video of Oracle’s Larry Ellison and follow-up audio post is now making the rounds where he (humorously or embarrassingly, depending on your perspective) pokes holes in the cloud computing concept as a whole and chastises IT marketing efforts. Regardless of where you stand on the cloud computing discussion, the video sheds some light on Oracle’s perspective on this whole mess. While it would be hard to say if Ellison speaks for all of Oracle (although you would think so), it indicates that even vendors are starting to strain at the marketing hype that threatens to devalue billions of dollars of their own product investment over the prior decades. The fact that there’s no single perspective on private cloud might indicate that none of the definitions really warrant separating the private cloud concept from that of cloud computing as a whole -- especially the service-oriented sort of clouds that ZapThink espouses. One reasonable perspective is that the definitions discussed above are simply differing infrastructural and organizational approaches to implementing service-oriented cloud computing. However, those approaches should not warrant a whole new term and certainly not millions more in infrastructure expenditure. Trying to create a new concept of private clouds from any of a number of perspectives -- architectural, infrastructural, organizational, governance, business model -- seems to introduce more confusion than clarification. After all, shouldn’t all clouds, private or not, have many of the benefits described above? Doesn’t the concept of a private, company-owned cloud in some ways weaken the cloud value proposition? Who really benefits from this private cloud discussion -- IT practitioners or vendors with products to sell? The point of any new term should be to clarify and differentiate. If the term does neither, then it is part of the problem, not the solution. However, when vendors start pitching their warmed-over middleware stacks and now-dull enterprise service buses (ESB) as “private cloud” infrastructure stacks – ask yourself: Does this change what you are doing now, or is this the beating of the band wagon’s marketing drum? The goal is not to buy more stuff – the goal is to provide the business increasing value from their existing IT investments. This is the purpose and goal of enterprise architecture and the reason why IT exists in the first place. Interesting article, but allow me to comment and bring a couple of points to bear that haven't been considered. Excellent list! You then note how this can all be controlled by governance similar to what customers should have been doing with SOA (but few ever really achieved) without noting just how difficult it will be due to the fact of the lack of transparency that public cloud providers shroud everything in because it is their “secret sauce”. This could well change in the future, but right now it is nearly impossible to get all of the details needed from Amazon, Rackspace, etc in order to create appropriate governance rules and policies. The beauty of policy based private cloud management is that it can take all of these factors into account, help the customer decide on resource and workload allocation strategies, how/when cloud bursting can be used (i.e. which applications are allowed or not, if/when data must go over the wire encrypted, data wiping afterwards, short time based storage only, relevance to audit trails, etc etc), in addition to utilizing heterogeneous resources to reduce CAPEX while driving extra efficiencies by homogenizing during technical refreshes, and much more. But that is specifically because they have control over the governance issues with a private cloud (which can include the use of public clouds via things like cloud-bursting -- When & Where it is appropriate and is within policy), and yet have no way to do it (at least not currently) with public clouds. Lastly, I'll also note that some people from UCSD & MIT just figured out how to break down a lot of the supposed security between virtual containers in Amazon’s EC2 (the paper is posted here: http://people.csail.mit.edu/tromer/papers/cloudsec.pdf). I read your post and find it very good source of info for quite a long time and must tell that your posts always prove to be of a high value and quality for readers.